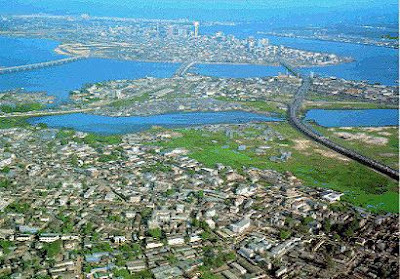 LAGOS—Lagos is the fourth worst city in the world, Economist Intelligence Unit, EIU, an independent forecasting and advisory business within the Economist Group has said. And its top worst cities, are scattered around Africa and Asia. Lagos, the fourth on the list, shares its 137 position with Port Moresby, in Papua New Guinea on 38.9 per cent.The report made available yesterday described it as the second-fastest growing city in Africa and the fourth worst city on earth.“Rapid growth is not always a good thing because Lagos is now a magnet for two perpetual threats to peace: pirates and Islamist warriors.Boko Haram have a problem with cities like Lagos and also lots of weaponry. Pirates threaten trade and use kidnapping as a method of funding. Islamist terrorist groups such as Boko Haram (“Education is forbidden”) want to create their own version of heaven on earth by destroying cities such as Lagos and imposing strict sharia law. Lagos has enormous potential but as yet little to show for it – hence its poor ranking,” the report said.EIU in its 2013 annual survey of the world’s 140 major metropolises, said Lagos has a long way to go politically, socially and economically before it joins the emerging market club.